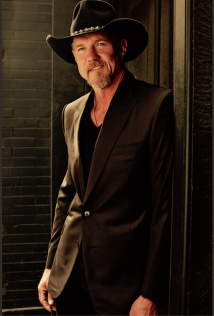 NASHVILLE, Tenn. - March 15, 2019 - PRLog -- Trace Adkins' trademark bass-baritone singing voice has powered countless hits to the top of the charts earning Gold, Platinum and multi-Platinum certifications, selling over 10 million albums, cumulatively. The GRAMMY-nominated member of the Grand Ole Opry is also a SiriusXM radio host, actor, author, spokesman for the Wounded Warrior Program, the American Red Cross and has performed in multiple USO Tours. Now the iconic country music stalwart brings his unmistakable presence to Collective Development Incorporated's (CDI) 1870s family drama, "Wild Faith," as the film's narrator. Directed by Jesse Low and written/produced by DJ Perry (who plays trapper Ben Lily), "Wild Faith" is already a multiple award-winner on the major film festival circuit from 2018. The movie also stars Lauren LaStrada (Haddie), Shane Hagedorn (Emmett), Melissa Anschutz (Hester Thickett), Joe Cipriano (Henry), Xylia Jenkins (Faith), Greg Mason (Uncle McKinney), Darby Hinton (Gerald), and Lana Wood (Opal). "Wild Faith," was screened publicly last year in select theaters throughout Michigan, Florida and California and received glowing reviews. The highly anticipated film will be released nationwide at theaters (Starting March 23), digital streaming platforms, DVD (May 6), TV and other outlets through Bridgestone Multimedia Group (BMG) starting this month. The story takes the audience back to the late 1800s in beautiful, rugged Michigan. The journey follows a quiet, reflective Civil War veteran (Emmett) who is compelled to keep a promise to a dying, black Federal soldier, John (Martez Moore), a member of the 102nd U.S. Colored Troops, Company B out of Detroit. With his last few breaths on the battlefield, and in Emmett's arms, John implores his friend - if he makes it out of the war – to protect his family. Emmett is a man of his word, trying to keep an interracial family together despite the efforts of his unforgiving neighbors. But the arrival of a traveling circus train sets off a most unlikely set of events that will push everyone to the limits. In bringing on Trace Adkins to the film prior to final re-mastering for its worldwide release, Mr. Perry, who is also CEO of Lansing-based CDI, said, "Beyond being just an exciting adventure tale 'Wild Faith' contains several beautiful messages woven throughout. Having Mr. Adkins brings yet another layer to this powerful story. We're appreciative to have him onboard." In addition to his music, concerts, spokesman and public service work, Trace Adkins is also an accomplished actor. He's best known for playing opposite Matthew McConaughey, Ryan Phillippe, Marisa Tomei and Bryan Cranston in "The Lincoln Lawyer." A TV series is also currently in development based on "Wild Faith." Reminiscent of "Little House on the Prairie," the series would continue to follow the lives of Emmett, Haddie, Faith and Henry, as well as townfolk and visitors who comes in and out of the interracial family's orbit. "Wild Faith" is due out in theaters nation wide in March through the support of myCinema and its relationship with CDI's distributor, Bridgestone Multimedia Group. DVD, Blu-Ray, digital streaming platforms, cable and network TV releases will also follow the theatrical release later in 2019.